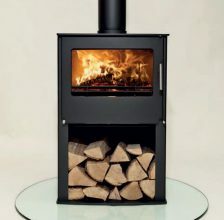 Westfire Stoves offer a wide choice of wood burning stoves, gas stoves and multifuel stoves. 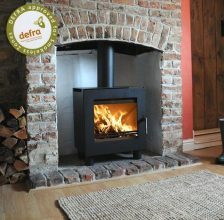 Quality Stoves in line with the latest technology. 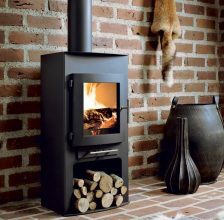 Westfire has developed a complete range of wood burning stoves, flue pipes, chimneys and accessories recognisable by their clean lines. All Westfire’s products are manufactured in accordance with the finest traditions of craftsmanship. 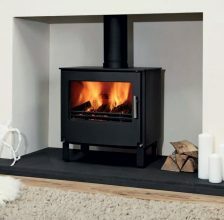 The stoves incorporate the latest combustion technology, which ensures economical and clean combustion. 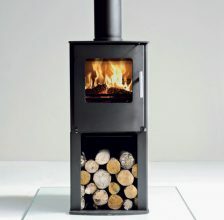 Westfire’s stoves are available with top or back flue outlets, making them suitable for new and older buildings alike. Westfire is a tried-and-tested concept, with attention paid to every detail. They have many years’ experience in the development of exciting and functional solutions for the home. 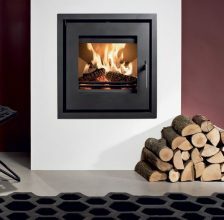 They offer both hearth plates and chimneys to complement their range of stunning wood burning stoves, making it easy to create a stylish and exclusive look in your home. Nowadays, the majority of people who set out to build their dream home will consider the installation of a fireplace or a stove already during the planning phase. And there are excellent reasons for this: the heat from a wood burning stove creates a very special atmosphere, and a fireplace or a stove will quickly become the natural focal point in your living room. 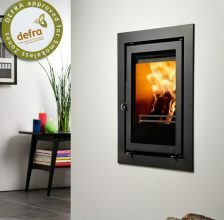 The velvety heat lends a cosy atmosphere to your home, and the use of a natural fuel is a favourable addition to oil fired central heating or district heating. The savings increase as the cost of energy rises, and firewood is an environmentally and resource-friendly source of energy. The Danes have always had a love for fireplaces and stoves. 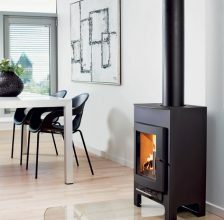 Danish-made fireplaces and wood burning stoves build on age-old traditions and excel in terms of both design and functionality. 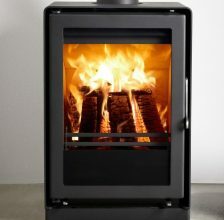 Since the first energy crises of the 1970s, a number of key manufacturers have developed a reputable line of solid, attractive wood burning stoves, convection stoves and fireplaces where the focus has been on design solutions, environmental considerations and fuel economy. Make sure you get a quality product that complements your dream home and meets all your needs and expectations. Discuss your plans with your architect, and ask a local distributor for advice if relevant.